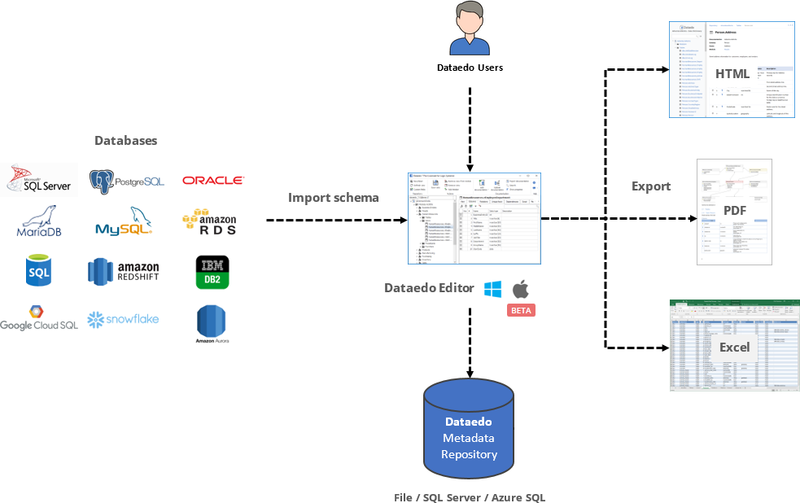 Dataedo is a powerful database documentation tool. It allows you to create data dictionaries (description of all tables, columns and relationships), create ER diagrams, document server scripts (stored procedures, functions and triggerss). It is a desktop application that connects to existing databases and imports schema, then enables users to provide descriptions and export documentation to PDF, HTML or Excel.